Gmail added a lot of new features lately. The People Widget, announced one month ago, should be available to everyone. The widget shows information about the people you're communicating with: profile photos, occupation, recent Buzz messages, recent email and documents shared with you, calendar availability and more. If you already use Rapportive, you need to disable the extension to see the People Widget. You can also disable the People Widget from the settings page. Rapportive has more data sources than Gmail's widget: Twitter, Facebook, LinkedIn, FriendFeed, Google Profiles, so you may find it more useful. The action bar is displayed at the top of the page even when you scroll down, so you can quickly archive a conversation, label it or read the next conversation without scrolling to the bottom of the page or using keyboard shortcuts. A similar feature is available in Gmail's app for Android. As you can see in the screenshot above, Gmail now shows additional information next to the sender's name to help you protect against email spoofing. When you receive a message from some who isn't in your address book, Gmail will show the email address next to the name. If a website sends an email on behalf of someone, Gmail adds "via domain.com" next to the email address so that you know that the message wasn't sent directly. Gmail uses email authentication to verify the source of the messages you receive, but this data was only used to detect spam and phishing. Now Gmail also shows a warning which informs you that "this message may not have sent" from the email address that appears in the "from" header. Today when i was about to read the email i saw one popup message displayed right above my email pointing towards the new action bar. I havent got the people widget yet?? Sad to see that Google and many others keeps forgetting about people whose locality is not a "city" when designing an adress input. Labeling the only possible field for one's locality as "city" is somewhat disciminatory to me and many other people who do not live in cities. A bit off subject, but does anyone else have a problem adding a Google profile picture? How does the people widget work? Does it replace the Chat widget or does it only pop up when reading certain messages? Would I still see it when reading something like an Amazon receipt? I also haven't the people widget yet and other new features... When can I get it? I hope they will be appeared when I get up in the morning tomorrow. More clutter, with no new functionality? Great. Has Google forgotten when they used to be proud of their clear and simple user interfaces? Also, I second anonymous's remark (above) about the "city" field. I think this comes from the US address format, where all addresses, even in rural areas, are allocated to a "city". 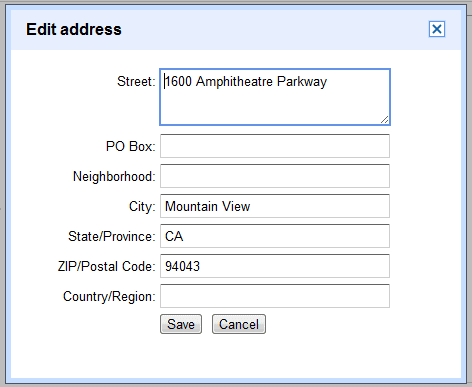 What was wrong with the free text field, which allowed any kind of address format? I guess people were using it too freely, and Google were having difficulties aggregating and analyzing our address data. It doesn't appear to be working for me. I'm in New Zealand. Why don't google show the people stream too ? 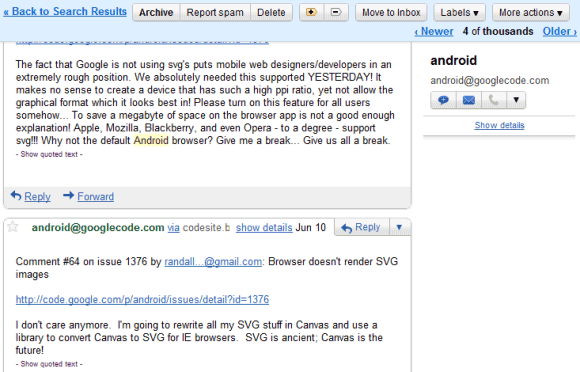 Gmail must be integrated in g+ !!! Does this kill the Rapportive business model? A few people have reported problems. There probably a lot of back end changes happening at the moment, I am sure they will get around to fixing it. Now a day, Gmail updates more new features. It is very much helpful for Gmail users. Even me too. No people widget for me yet.. i'm on google apps..
Yeah, what gives...I still don't have this update.